Shop now through Sunday, April 26th, 2015 for store wide savings. All crochet pattern original designs are on sale through my Ravelry Pattern Store:. Sale price is reflected when items are added to the shopping cart. Yesterday I launched a new crochet pattern and I'm excited to announce that it's now available for purchase! I created this pattern because I thought it would be nice to have a coordinating option for my rectangle rug pattern - which is my most popular seller. 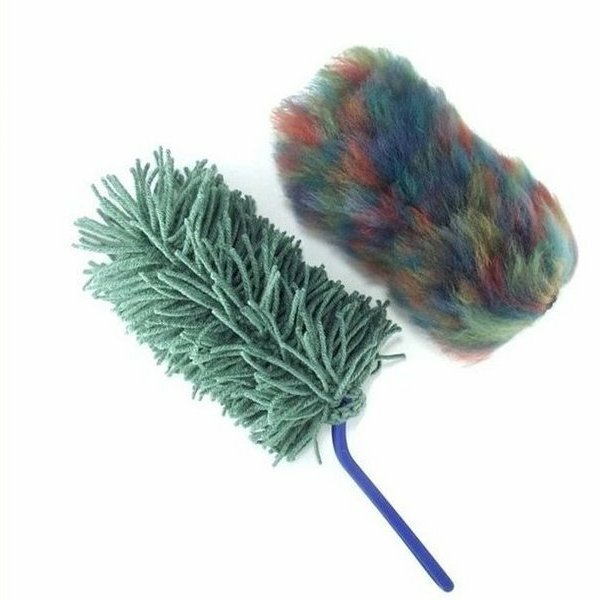 It took awhile for me to figure out the stitch pattern, but I wanted to make sure that the rug can made to any size, and I include detailed instructions in the pattern on how to make it larger or smaller. It was fun to design, and now I have a round option for my home. 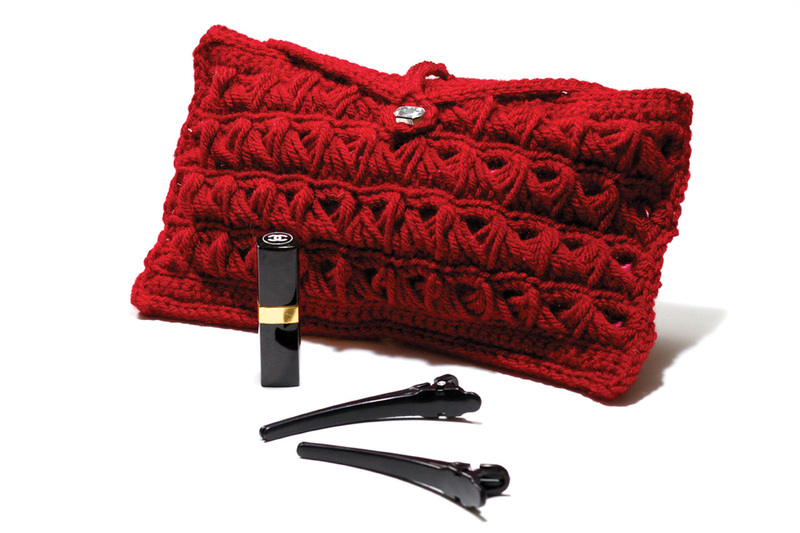 This is an easy crochet pattern that requires super bulky yarn and a size N (10mm) hook. It features a cobblestone stitch center, which is super cushy on your feet. 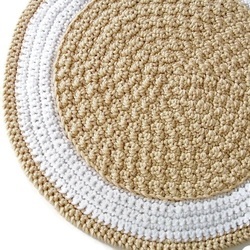 This rug would be great for kitchens and bathrooms, or really any room in your home. The pdf file also includes complete instructions, color photos, Helps & Hints, and a yarn substitution guide. This pattern looks difficult, but it works up very quickly -- you could make your rug in a weekend! Visit my Pattern Shop for more information. Another pattern from Crochet-opedia is available for free download on the Lion Brand website, courtesy of the publisher St. Martin's Press. Click here for more information on my blog and for the download link. This free pattern from my book Crochet-opedia is available from Lion Brand, courtesy of the publisher St. Martin's Press. Click here for more information on my blog and for the download link. 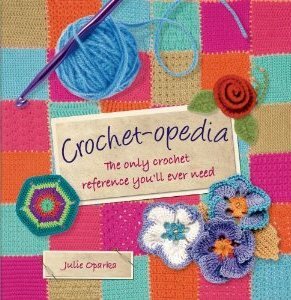 I am so happy to announce that my book, Crochet-opedia is now available. Click on the photos below to be taken to the appropriate Amazon site to purchase. 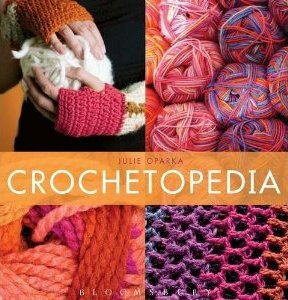 Crochet-opedia is a comprehensive reference guide to crochet. The book is designed to help the readers learn and master each skill before moving on. With step by step instructions, color photographs, detailed diagrams, and 30 enticing patterns, Crochet-opedia will appeal to newcomers as well as advanced crocheters. It also comes complete with a handy stitch directory, allowing the reader to browse through thumbnail photographs to easily choose a crochet stitch. For a new crocheter, I can pretty much guarantee that working through the 30 projects in order will teach you most everything you need to know about crochet. It’s amazing to me how much Oparka has jammed into this one 224 page book. From holding the hook and yarn to basic stitches and increasing to her wide array of stitches ranging from textured to loop to chevrons and spikes then to tunisian, hairpin, and broomstick, I can’t think of much that’s lacking here.